Did Kanye West Troll the World When He Said Everyone Would Be Able to Cop Yeezys? Kanye West’s adidas collaboration was supposed to be the anti-Nike Air Yeezy. For many consumers, that meant one thing: Hope. Hope that they wouldn’t have to sacrifice a week of their lives just to secure a pair. Hope that resellers wouldn’t have a field day. And hope that they could finally own a pair of sneakers designed by Kanye West, who’s arguably the most influential person in sneakers right now. 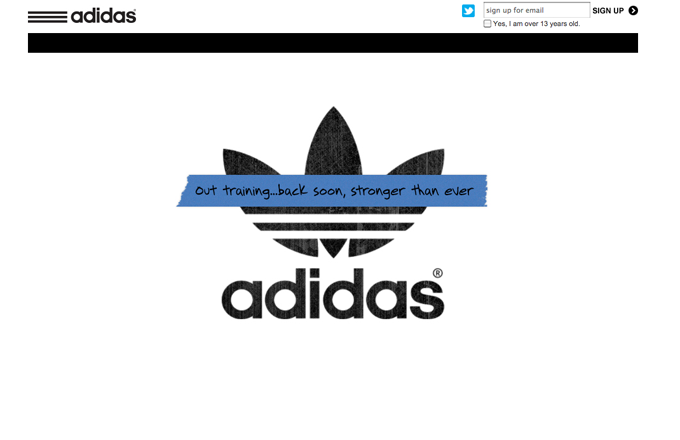 the disappointing online launch was an elementary mistake. As we approach the global launch of the Yeezy Boost—officially its third release—we have to ask: Did those cheers fall on deaf ears? For the first launch, everything looked promising. There was plenty of anticipation, and then there was the game-changing app. 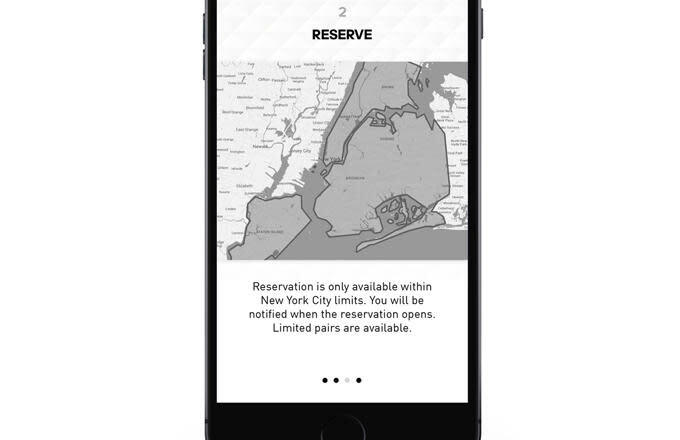 The adidas Confirmed app eschewed the typical in-store release, instead alerting you when the shoe was available to reserve. Once you had your pair secured, you’d be able to pick it up at a designated store. That meant no lines, no campouts, no rigged raffles, and no bots. All you needed was the app. The caveat? You needed to be in “The Zone”—which, in this case, meant one of the five boroughs of New York. The debut was positioned as a regional exclusive to coincide with New York Fashion Week, where ‘Ye presented his full adidas lineup for "Yeezy Season 1," and the NBA All-Star Weekend. It was an appropriate rollout, given the aspect of NYFW, but a far cry from being widely available. But if this brought down sneakerheads’ hopes, Kanye West went on Ryan Seacrest&apos;s show the day before reservations went live on the app to comment on just how available the sneakers were going to be. “Eventually everybody who wants to get Yeezys will get Yeezys,” he said. “adidas has promised me that because there&apos;s so many kids that have wanted them that couldn&apos;t get them and I talked to the heads at adidas and they said we can make them." 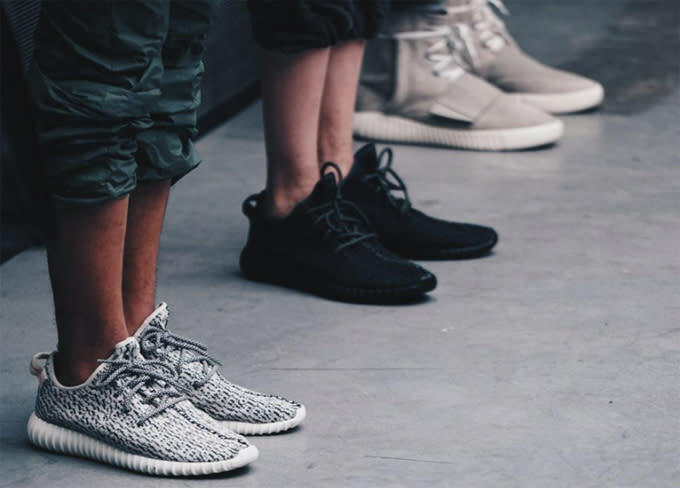 ‘Ye also set the record straight and said 9,000 pairs would drop for the initial launch. Those who struck out on the app (or weren’t within the app’s zone) only needed to wait for their turn with the online release just a week later. But come Saturday morning, it didn’t take long for the Twitterverse to respond accordingly to the site’s inability to handle the unprecedented traffic, error messages, and crashes. Considering the time and effort put into the app, the disappointing online launch was an elementary mistake. If the online launch was a showcase of struggle, don’t expect the in-store releases on the sneaker’s global launch of February 28 to be any easier. “The Kanye West x adidas Originals Yeezy 750 Boost will be the most limited shoe Livestock has ever carried,” the Canadian retailer wrote in a blog post announcing how it plans to release the sneakers. For a retailer that’s been around since 2004 and released both the Nike Air Yeezy I and II, as well as numerous retros and Nike Sportswear Quickstrikes, this said a lot. It’s the same story across the board for most independent boutiques, many of whom have publicly said they are getting no more than a dozen pairs. While the 750 Boost may not be as readily available as initially hoped, let’s not forget one important thing: This is just but one part of an entire collection, one that includes other Yeezy sneakers. Denault believes that it&apos;s the Yeezy Boost Low that will be released in larger quantities, not its high-top counterpart. Though it’s reflective of Kanye’s style, compared to the Nike Air Yeezy—which had familiar elements that any sneakerhead could get behind—the Yeezy 750 Boost just isn’t for everyone. It’s an experimental shoe, so if adidas wanted to go the limited route to test the waters, it’s a business move that completely makes sense. The upcoming low-profile version has already drawn comparisons to the Nike Roshe Run, a widely successful commercial sneaker. A streamlined silhouette made of mesh, the upcoming shoe is simpler, more wearable, and cheaper to produce—making it a practical, safer route for mass production. And after all that, technically, you’re still getting a Yeezy, fulfilling Kanye West’s promise. Will the Yeezy 750 Boost be the anti-Nike Air Yeezy? Right now, they’re treading the same waters, but as the first of future releases, it’s just too early to tell. On a recent interview with The Breakfast Club, Kanye said he didn’t want to play “this sneaker culture game,” but campouts, limited releases, and resell prices already paint a different picture. When Kanye left Nike to join adidas, it was ultimately fueled by the desire to create more products. As evidenced by "Yeezy Season 1," adidas has certainly provided him that platform. But if his goal is to democratize fashion—something he has been vocal about long before he joined adidas—he’s got a long way to go, because a $350 sneaker isn’t going to accomplish that. And neither is a limited sneaker release. 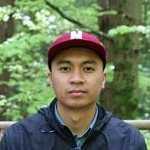 John Q. Marcelo is a contributing writer to Complex and he thinks it&apos;s awesome that Kanye embraced the Yeezy Boost&apos;s UGG comparisons. You can follow him on Twitter here.